HÀ NỘI — German band Isolation Berlin will perform at the Việt Nam Youth Theare to kick off their Southeast Asia tour on November 1. The four-member group consist of vocalist and guitarist Tobias Bamborschke; guitarist and keyboard player Max Bauer; bass guitarist David Specht and percussionist Simeon Coster. They will perform in Hà Nội, the central province of Huế; the central city of Đà Nẵng and HCM City from November 1 to 11. The band’s Southeast Asia tour will reach Malaysia from November 12 to 17 and the Philippines from November 18 to 25. In Việt Nam, the band will perform 12 songs as an overview of their musical genres. The songs include melancholy Alles Grau (Everything is Grey), which was written by Bamborschke six years ago. "Not all of our songs convey such messages. When audiences listen to the songs they will know that they are meaningful to us. The most important thing is to tell an emotional story not a message." Singer and songwriter Bamborschke travelled as a child from Cologne to Berlin. There he found himself in a big city where he felt invisible. He used to sing in English but soon felt he could not express himself in the foreign language. Guitarist Bauer started playing piano and guitar at 8 years old and always dreamed of becoming a musician in a band. His dream came true when he met Bamborschke in 2011 in Berlin. They founded Isolation Berlin just two weeks later. Since their debut Und aus den Wolkentropft die Zeit in 2016, the band have achieved just about everything that young musicians could dream of. They have received glowing reviews and attracted a huge fan base. 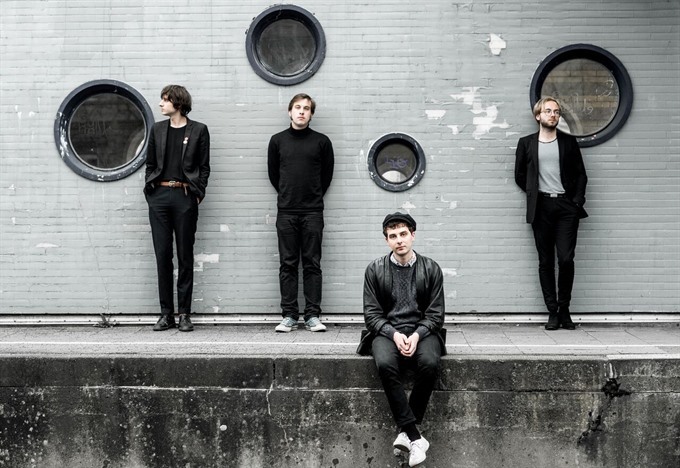 With their latest album Vergifte Dich, released at the beginning of the year on the prestigious Berlin indie label Staatsakt, they climbed to #30 in the charts.